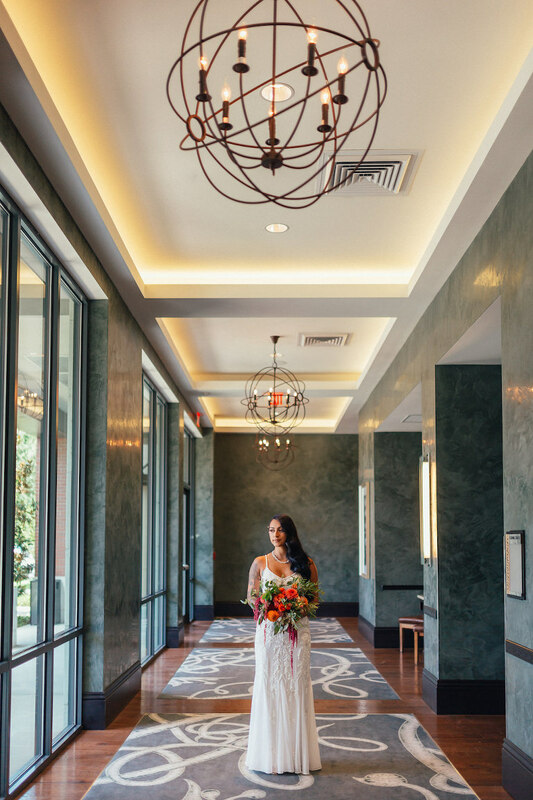 Sarat and Colin’s unique South Tampa wedding featured an organic and geometric inspired theme with a bold and modern color palette. 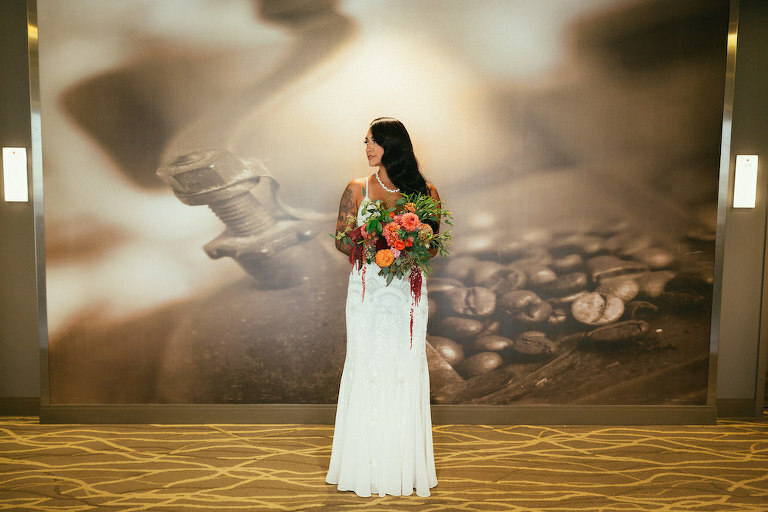 The Lithia couple stayed local for their wedding, embracing the unique Tampa Bay wedding venues in the area without having to travel far from home. Looking for a planner who would be conscientious of their budget, Sarat and Colin searched for a planner who could help them make their wedding day their own. With fewer than 10 guests attending their wedding, the couple focused on ensuring that those loved ones felt welcome and that they enjoyed every minute of their special day. Looking back, Sarat shared that one of her most cherished moments occured during their ceremony. “One of the most memorable moments was my son walking me down the aisle. The chaplain was able to adjust the ceremony to include my son in the exchange of vows. We also wrote our own vows which made it more personal and special for us. 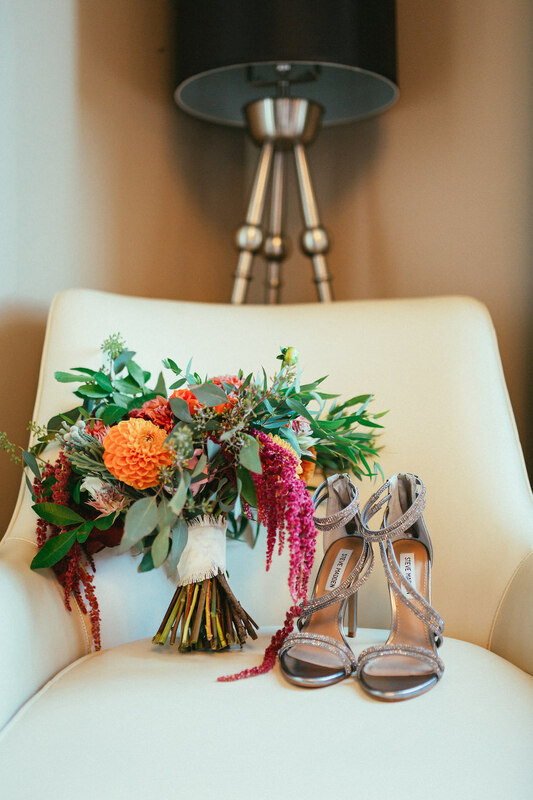 I have to say that also seeing all of Staci’s work for the first time was a total shocker, every detail was perfect,” the bride gushed. We were in Colombia at the top of the “Rock of Guatape,” which is essentially a massive 700 foot rock at a 7,000 feet of elevation. Needleless to say, I had the worst elevation sickness on my way up, not knowing what was to come. We both sat down and looked at ideas for themes on various websites. We came to conclusion that the geometric terrariums were a must, therefore we went with a more “organic” theme to be able to incorporate them. We spoke with our wedding planner Staci from UNIQUE Weddings and Events, she was able to look at our Pinterest idea board and she came up with an overall theme summary. From there, Staci put together a draft of more in-detail touches that could bring all of our likes together. We wanted something that screamed summer and brunch that was colorful, and tied into the bountiful amount of murals and art in and around our venue. We didn’t pick a specific palette; our planner Staci was the brain in the color palette. What did you look for in a wedding planner? Our main focus was to do something that was non-traditional. We also wanted a planner who took our budget into consideration when planning and not just giving us a flat fee. We thought it was a priority to consult with someone who understood what we wanted and was flexible. I Want to Learn More about Planning & Design from UNIQUE Weddings & Events. Looking at Staci’s work I was very surprised with her uniqueness and her way of thinking outside the box. I came across a wedding at the Dali Museum that she did, and I was so surprised how unique and creative this wedding was. Since we were trying to stay away from the norm, we figured we contact her to get the “unique” wedding we dreamed of. Staci of UNIQUE Weddings and Events was so easy to talk to, and she easily thought on her feet. She was able to accommodate our guest count at the last minute, which was larger than anticipated and not once did she hesitate to do more. We were able to guide her with our ideas, but ultimately we left Staci to do what she does best. She not only delivered, but she blew us away with the entire wedding. We put so much trust into Staci we didn’t even want to see anything until the day of the wedding. Don’t feel like you need to spend a lot on a wedding. We believe that a wedding is a beautiful union and people lose sight on the meaning of that day. 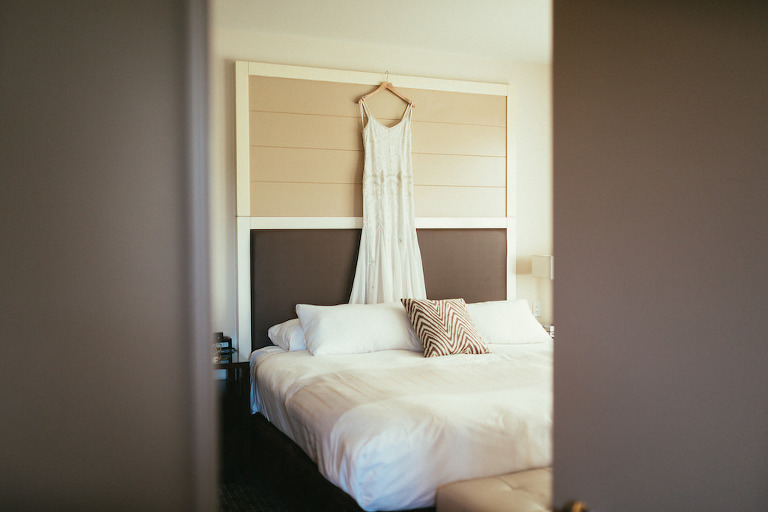 We think it’s best to put your money into a wonderful honeymoon where you start to build beautiful memories as a married couple; since the wedding day is one big blur.